Moesia, Istros. 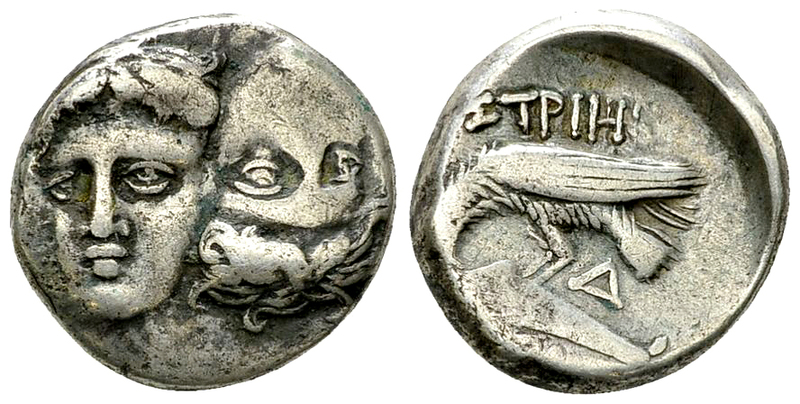 AR Drachm (16-17 mm, 5.54 g), c. 4th Century BC. Rev. IΣTPIH, sea-eagle left, grasping dolphin with talons; Δ in between. Cf. SNG BM Black Sea 237.